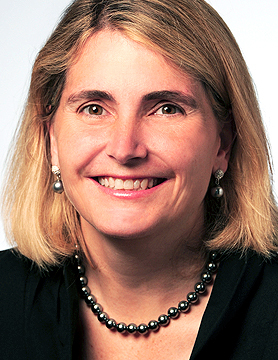 Cari Lodge is Head of Secondaries and a member of the Investment Committee. Her responsibilities include oversight of due diligence, underwriting, manager selection and investment management for the firm’s private capital Primary, Secondary, Co-Investment and Distressed Capital programs. Prior to joining Commonfund Capital, Cari was at Tulane University’s Investment Management Office where she was responsible for overseeing the private equity and private real assets investments for the $1 billion endowment. Prior to Tulane, she was at Credit Suisse Strategic Partners, Credit Suisse’s dedicated secondary private equity fund with over $11 billion in commitments and interests in over 1,300 funds. Cari was a member of the investment committee, co-managed the $750 million aged primary program, and closed over 115 secondary transactions and co-investments for over $1.25 billion in total capital obligation. She worked with the team for twelve years since its founding in 2000, having started with Donaldson, Lufkin & Jenrette (which merged with Credit Suisse in 2000) as an Associate in Investment Banking. Cari is presently a member of the advisory board of several private capital limited partnerships. Cari is also a member of the Investment Committee of her alma mater, The Hotchkiss School. She received an A.B. from Dartmouth College in both Economics and Government and an M.B.A. from Columbia Business School.